From time to time, we are contacted by individuals who are overwhelmed by the amount of litter and do not know to handle the situation. They are typically offered waste removal, but it may turn out not to be a sufficient method of solving the identified problem. 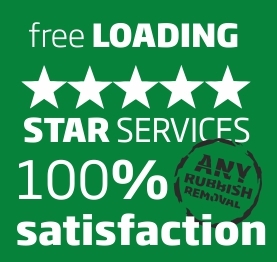 As we have set ourselves the goal to satisfy each and every individual willing to order our services, we have introduced skip hire offer, which is based on the possibility of leasing a big container from us in order to store unwanted remains and litter in it and after some time – to contact our experts and ask them to dispose of rubbish by transporting it to waste dump nearby. As it has been proved, skip hire is of utmost importance when refurbishment, renovation, and construction works are concerned, as then clients do not have to call us on daily basis to get rid of some debris or rubbish. Workers can simply throw all the unnecessary items and packages to one container, which is then removed after the accomplishment of works. The said service may also be considered the best way out while taking into account autumn and spring garden maintenance. You do not need to burn all the leaves, branches, and grass – the best way to dispose of them is to pack them into plastic bins and throw the latter to the skip hire! Please contact our representatives immediately if you want them to help you choose the most suitable type and size of rubbish container.